Look forward to the ambulance services poster in a few years when people start dropping left right and centre! Sweet Jesus... "get a take away!" This is so strange I can't wrap my head around it! 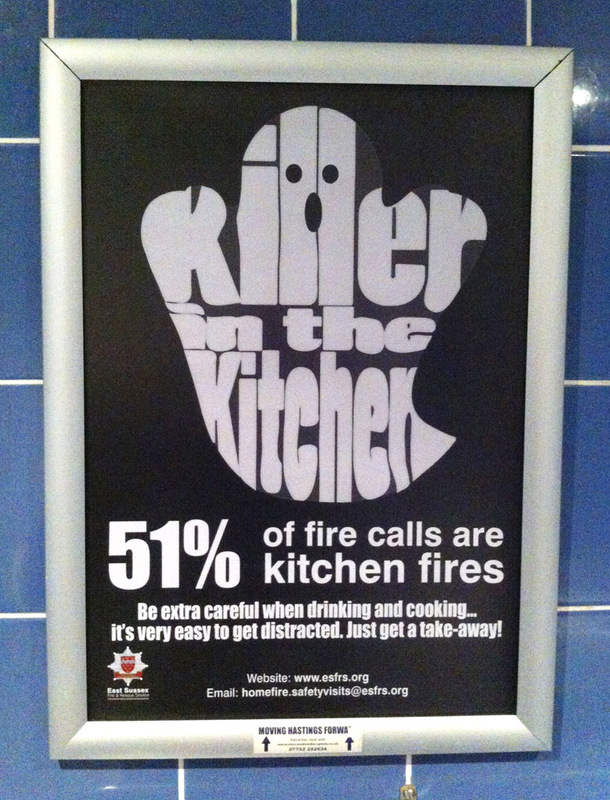 Question: How many kitchen fires are caused by sober negligence? Both my sister and sister-in-law started kitchen fires by leaving combustable stuff on stove tops. Neither one drank!